They say everything is bigger in Texas but this gorgeous Missouri home competes hands down!! 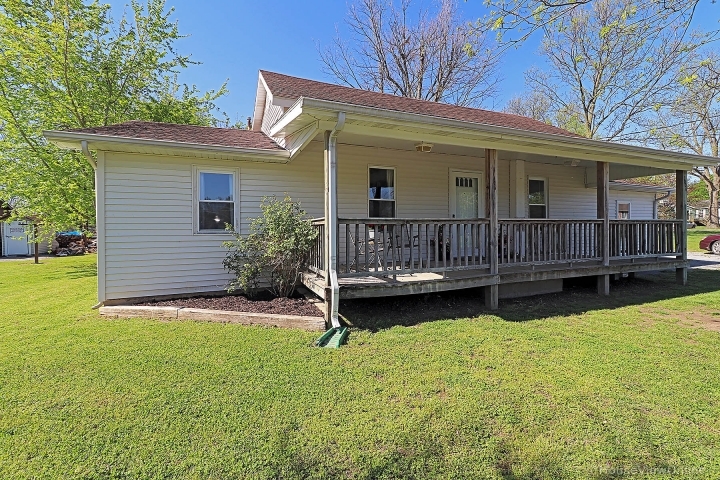 Spacious and oversized from the beautiful covered front porch to the large backyard patio to the interior spacious rooms. Beautiful 3 acres. Oversized 2 car garage & circle drive. HANDICAP FRIENDLINESS, inside and out. 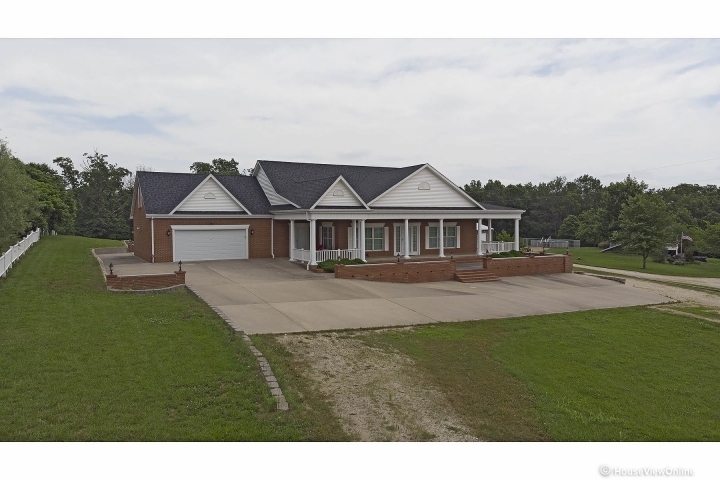 3000+ sq ft home welcomes you with 9' ceilings, open concept, crown moldings, lots of natural light and large rooms Spacious kitchen w/custom cabinets, walk in pantry, built ins, large moveable island. Spacious master bedroom with ensuite bathroom, huge walk in closet w/organizers and cabinets. Main level laundry. Finished 15x52 bonus room w/private bath. Another bonus room for storage, office space, or hobby room. Wow, I told you everything is bigger but if this is not enough to impress you, take a look at the 30x32 shop. Storm cellar under porch area. Many extra amenities. Sits back off road for privacy. 6 miles from Marble Hill, 12 miles from Jackson.